Homestyle Painting & Decorating, are located in Manchester and were established over 15 years ago. We have been a success by providing an unrivalled level of customer service. Our aim is to exceed our customers expectations by producing the best quality workmanship at cost effective prices. Our sole aim is to give our customers a property imrovement service that they keep using. With our knowledge our painters and decorators are always happy to suggest different ideas and solutions without compromising our quality. We do all aspects of painting and decorating inside or out to cutomers exact specs. Or if you only need a bit of advice or an idea on what we belive would suit for your home, what the best value for money and best products to use then give us a call. Homestyle Plastering, Our Plasterers are Highly qualified and very skilled in every aspect of plastering, we can erect studded walls in your house to make room for en-suite showers or remove old walls to make more space, them skim it all for a perfect finish, we can open up doorways turning them into archways or modern room entrances, we can fit all variety's of coving and plaster over artex. Using our techniques old and new we can use the correct methods for any given property, whether a 200 year old stone cottage in the High peak or a new city centre apartment. Transforming ordinary tired looking rooms into an immaculate brand new room which will not need any more work for decades. As well as just skimming, we carry out ceiling replacements and repairs and, plastering over artexed areas, Patch repairs, erection of studded walls, also decorative recessed shelving. 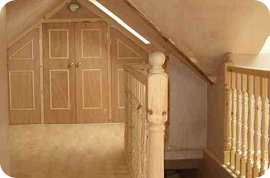 Whatever your tastes our manchester plasterers can make your home look amazing. All plastering and decorating work is fully insured and guaranteed. 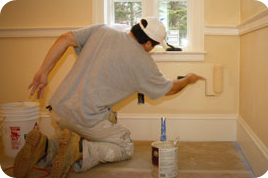 *Plastering and Decorating *Domestic or Commercial.